Every cinephile has to contemplate the strange phenomenon named Orson Welles. He had conquered radio and the New York stage, and had signed a Hollywood movie contract that turned established directors green with envy, before he turned 25. His first film, Citizen Kane, has been called the "greatest film ever made" more often than any other contender. And yet he spent most of his life a failure. He continually scrambled to raise money to make his films, few of which made any money back. With the exception of a handful of Hollywood projects (Kane, The Magnificent Ambersons, Touch of Evil), much of his work is fractured and problematic–both loved and despised by the type of audiences most likely to appreciate his work. Chuck Workman’s documentary covers that life in chronological order, from his 1915 birth to his death from a heart attack in 1985. In between, it follows his early recognition as a theatrical wunderkind, the highpoint of his career with Kane, and his parallel careers as a successful actor and a struggling auteur. Workman wisely avoids the usual voice-of-god narration. 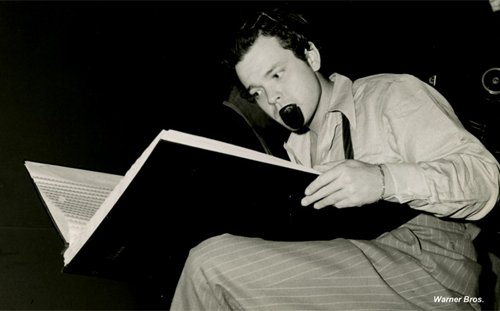 In its place he presents interviews–both archival and original–with friends, co-workers, admirers, lovers, and, of course, Welles, himself. That exposes us to different points of view. In one sequence, Workman cuts between two interviews where Welles tells different versions of how The Lady from Shanghai got made. When interviews can’t provide the needed information, Workman provides written text on screen. But the picture is hardly objective. Among the many people interviewed–including Steven Spielberg, Richard Linklater, Oja Kodar (Welles’ companion for the last two decades of his life), and Peter Bogdanovich–you won’t find David Thomson, author of Rosebud: The Story of Orson Welles. Thomson’s biography paints a far less positive picture of Welles than Workman’s. Orson Welles was one of cinema’s greats, and it’s tragic how often the money men took over and recut his films. But I’ve read enough about Welles to understand that his own emotional immaturity was a major part of the problem. Judging from this documentary, you would think that evil studio executives were the only cause. Magician suffers from a biased look at its subject. But it’s still an informative and entertaining look at a very entertaining (although not very informative) artist. If you love Welles’ work, you’ll enjoy Magician. If you haven’t seen his work, see the films first.